Even in times of plenty, bringing new products to market is challenging. So in this time of not-yet-plenty, it is not shocking to see the pace of new product innovation within the consumer packaged goods (CPG) industry on a downward trend. In 2011, overall brand introductions were off 3 percent from last year and numbered 13 percent fewer versus 2008 levels. However, in contrast to declining non-foods new product introductions (from 957 to 896), new food & beverage products and brands rose slightly from 647 in 2010 to 665 in 2011, according to the 2012 New Product Pacesetters report from Chicago-based Symphony IRI Group (www.symphonyiri.com). Most launches fail to garner more than $7.5 million in year-one sales across food, drug and mass channels (excluding Walmart), thereby not meeting the first criterion for SymphonyIRI New Product Pacesetters. Launched between February of one year and January of the next, new products also must achieve 30 percent national distribution and complete a full year of sales (brands that do not are considered Rising Stars for the following year). Only 2 percent of 2011 new products achieved those criteria; only one broke $100 million in sales. Food and beverage innovation fell, it could be argued, as 92 percent of this year's Pacesetters are brand extensions. Yes, this road is shorter and easier. Having established brand equity goes a long way to supporting new, related products, which add excitement and longevity to the life of the core brand in a relatively inexpensive and less risky manner. But the easier road comes at a price Year-one sales of product line extensions are generally much lower than sales achieved by net-new brands. During the past 10 years, food and beverage line extensions averaged one-year sales of $27.7 million, about 9 percent less than net-new brands introduced during the same timeframe. New food and beverage products yielded average sales of $35.5 million in 2011, but the gap for brand extensions was much more substantial at $21.5 million, or more than 64 percent. Despite prolonged economic difficulties, 22 percent of consumers are actively looking for new products to try, reinforcing the notion that new products are the lifeblood of the CPG industry, according to the Symphony IRI 2012 New Products Survey. The best selling food and beverage launches brought restaurant and gourmet quality into the home kitchen, made snacking and on-the-go foods more fun with new textures, exciting flavor combinations and convenience, and were highly targeted. These are new products launched Feb. 2010 -- Jan. 2011 that SymphonyIRI already is tracking as likely Pacesetters for next year's report. 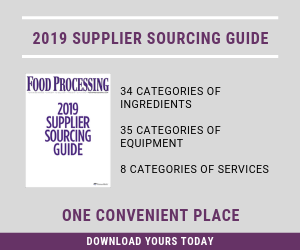 Two-thirds of food and beverage 2011 New Product Pacesetters bring distinctive flavors, new flavors or new flavor combinations into the marketplace, a substantially higher focus than in recent history, and occurring across aisles, categories and manufacturers. Kellogg launched seven brands with distinctive/new flavors, and General Mills launched six. On the healthier-eating front, the most common wellness-related benefit among 2011's Pacesetters is natural and/or organic ingredients. In fact, 23 percent of the top food and beverage launches were natural/organic, versus a historical average of 19 percent. Consumers looking to eat well without derailing their dietary efforts are in luck, too. You can create mornings that shine with Thomas' Bagel Thins ($73.6 million). And, with Kellogg's Special K Cracker Chips ($50.6 million), you can have your chips and eat them too! It's a perfectly seasoned way to satisfy your salty snack craving. Both offer calorie-controlled indulgence without the guilt. Taking a dive in 2011, innovation in two groups fell: breakfast solutions and sweet snacks. In the past, those categories were driven by snacks/granola bars and ice cream/sherbet. With more than 55 percent of all shoppers eating at home today (more than prior to the recession), skewing new product innovation to complete dinner solutions accounted for 23 percent of total sales, compared to 18 percent on average from 2002-2011. The No. 1 Pacesetter brand, P.F. Chang's Home Menu line of frozen entrees from Unilever, touts signature bold flavors of Asian restaurant cuisine. Promising to "ignite the night" with meals that can be ready in less than 13 minutes to appetizers that are "too good to have just one," the line enjoyed phenomenal first year sales of $101.6 million. Another frozen dinner/entree line that made the list was Nestle's Lean Cuisine Market Creations ($48.6 million), while Stouffer's Farmers' Harvest and Buitoni Riserva exemplify quick and easy meal solutions that offer variety, comfort and/or restaurant quality at a solid value. In recent years, small companies have made quite a splash in the new products pool. Indeed, 2010's top-selling food launch was Chobani yogurt. With a purse-string advertising budget, this relative unknown brand took the country by storm, garnering nearly $150 million in year-one sales. While a little late to that Greek yogurt party, Dannon's Oikos yogurt is one of the Rising Stars SymphonyIRI is watching for next year's Pacesetters. You don't have to be big to make a big splash – or to be a Pacesetter. SymphonyIRI called out Denver-based Udi's Gluten Free Foods. The company (and brand) launched a line of gluten-free appetizers, breakfast foods, breads and desserts. And although it may not be $100 million blockbuster success story, these products fill a compelling need. And shining bright among this year's Rising Stars is Talking Rain Beverage Co.'s Sparkling Ice, a line of fruit-flavored waters. They have no calories or caffeine but do have vitamin D, B vitamins and antioxidants. During the past year, 6 percent of food and beverage Pacesetters boasted a gluten-free claim to accommodate those with celiac disease, as well as others who feel that gluten-free eating offers health benefits. To that end, other manufacturers, including Frito-Lay, added a gluten-free label to appropriate existing product lines to raise awareness among consumers. SymphonyIRI's "15 Years of New Product Pacesetters" report shows new product average year-one sales declined from $35 million in 2002 to less than $25 million in 2011. Indeed, new products are becoming increasingly targeted to the needs and wants of smaller, more discrete consumer segments. The trend toward highly targeted new products, whether line extensions or net-new brands is strengthening. With the growing presence and power of social media, as well as the potential to innovate freely and creatively, the "go to market" playing field is a bit more level. Across most beverages, the pace of successful innovation remains on par with historic norms in 2011. But activity in the coffee and tea sector was quite high, driven heavily by the proliferation of single-cup coffee products designed for Keurig coffee machines. For the year, nine coffee and tea innovations achieved New Product Pacesetter status, versus an historic average of four per year between 2002 and 2011. Five of those nine coffee and tea launches included single-cup, K-Cup coffees, making the enjoyment of a fancy beverage quick, easy and portable. Folgers Gourmet Selections K-Cups ($54 million) was the top-selling single-cup coffee launch. Green Mountain Coffee-branded K-cups were among last year's Pacesetters. And that same Mountain launched multiple Pacesetter K-Cup coffee brands for 2011, including Caribou Coffee, Tully's and Donut House Collection. Starbucks Coffee Co. also joined the K-cups craze. Gold Peak Chilled Tea ($44.3 million) was the pause that refreshed, and Folger‘s Gourmet Selections K-Cups ($54 million), was the top-selling single-cup coffee launch, and one of two J.M. Smucker brands to achieve New Product Pacesetter status. Millstone was the other. At first glance, it appears innovation in the carbonated beverage, sports and energy drink arena – normally hotbeds of activity -- was down. Actually, the number of new brands achieving Pacesetter status in this area was on par with historical trends, at five – just none of them made the top 10. For the year, Pacesetters in this group represented about $27 million in year-one sales, or 23 percent of total beverage Pacesetter dollars. This is well below the historical average of more than $58 million in year-one, a shift caused by the adoption of a focus on more targeted beverage innovation. According to SymphonyIRI's 2011 State of the Snack Industry report, snack frequency is on the rise, with increases occurring across dayparts. CPG marketers are aware of and playing to this trend. Manufacturer efforts to cater to home-based eating rituals and an increasing focus on targeted/niche market innovation helped support growth within the food and beverage arena. Be on the lookout across and outside of the CPG industry for emerging consumer trends and associated opportunities to develop products that meet consumers' needs/wants. Successful candy and gum launches represented 19 percent of food New Product Pacesetter dollars, more than double their average share 2002-2011. Mars is a driver of candy and gum innovation trends, and the company placed four brands in the Top 20 food and beverage New Product Pacesetters, including two chocolate products (M& M's Pretzel and Snickers Peanut Butter Squared) and two gum products (Wrigley's 5 React and Wrigley's Extra Dessert Delights). Together, these products play to a range of key snacking trends. More consumers are trying to eat healthier, up from 76 percent to 87 percent in just three years, according to SymphonyIRI's annual Consumer Snacking Survey, and healthier living has become a key means of managing medical expenses. Given this powerful trend, it is logical that manufacturers are embracing new ingredients and new technologies to raise the bar on the taste and texture of healthier-for-you food and beverage options. A healthy-spin on an indulgent product, made possible by adoption of a more natural approach to manufacturing, is Oscar Mayer Selects ($69.2 million), frankfurters, which contain no artificial preservatives and only naturally occurring nitrates and nitrites. PepsiCo is another historical contributor to the New Product Pacesetters. This year it, too, brought to market products that landed just outside of the top 10. Two products come from Gatorade's G Series line. Gatorade Prime is a pouch filled with pre-game fuel designed to give your body the energy it needs to own the first move. Gatorade Recover is an after-workout beverage with protein that helps to rebuild muscles. "The Pacesetters of today, having beaten the new product odds regardless of a difficult and complex environment, are truly remarkable," says Larry Levin, executive vice president of consumer insights at SymphonyIRI. "It all begins with really listening and responding to consumers. Manufacturers taking the time to gain an intimate knowledge of the needs and wants of their consumers are cracking the code on true innovation."